Get your foot in the door with practical advice and industry insight. The games industry is one of the most creative, diverse, exciting and sought-after industries for a digital artist specialising in 3d art to work in today. 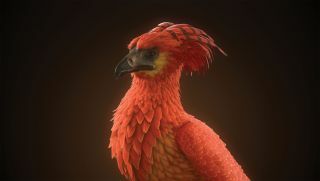 As a games artist, you can create stunning worlds, characters or props in styles ranging from the realistic to cartoony or anywhere in-between,” says Simon Fenton, head of games at Escape Studios, an industry-leading academy for visual effects and digital art. With those facts in mind, getting a start in the video game industry can often feel like an unbeatable level, a vicious cycle of disappointment. That’s why we have gathered producers, recruiters, artists and tutors to assemble the ultimate cheat sheet. Each contributor will dispense wisdom and experience on every part of the process, from creating a CV to acing an interview. Follow this expert advice to take your video game career to the next level. “It’s definitely a competitive landscape, there are a lot of people that are hungry to work in this industry,” says Declan Paul, producer at Airship Images. Since opening in 2009 Airship has worked on numerous AAA titles, including Star Wars Battlefront II, Forza Horizon 3 and The Division. When beginning the search for a role in the video game industry, Paul states that it’s always best to look for roles at the studios that inspire you to work in the industry. According to Paul, events such as conventions or presentations represent great opportunities to meet like-minded artists and grow a network of industry contacts. For those that can’t reach such events, social media and online competitions represent an ideal opportunity to connect with the community whilst showcasing your abilities. Artists can provide feedback and encouragement to each other from halfway around the world. The best art will often attract the attention of established studios in their search for the freshest talent. Unanimous among our contributors is the assertion that every application you make should be tailored specifically to the studio in question. As such any application should demonstrate that you have done your research on the studio and their work, past and present. The application is an opportunity to sell yourself to potential employers and showcase exactly what you’re capable of. Despite the numerous roles for artists in the industry, advice for crafting a stand-out application is fairly universal. “Focus on quality and not quantity in terms of the projects you include in your portfolio,” says Ognyan Zahariev, who successfully landed a job as lighting artist at Ubisoft Sofia, where he’s been rising through the ranks for five years. "First and foremost is a strong portfolio with no fillers or weak work. Try to tailor your portfolio so that it is exciting and relevant to that developer," adds Fenton. "For example, highly stylised work might not appeal to a developer that makes realistic driving games." "It’s not just strong work that sets you apart – showing your prospective employer that you understand their business means you are switched on and thinking professionally. Research how the company operates, its past games and any interviews that they have given. Mention past papers they may have published and check their blogs. Talking about why you like their art and backing it up by mentioning specific techniques, people or processes demonstrates an inquisitive, driven approach." For freelance character artist Sven Juhlin, who got his start in the industry working for EA DICE, it’s crucial to showcase some originality in any portfolio. If your application piques the interest of potential employers, you may well be contacted for an interview. This part of the job-hunting process is often the most nerve-wracking for any applicant, in any industry. However, there are some sound pieces of advice that can prevent the experience from becoming the stuff of nightmares. As Paul points out, rejection is a natural part of any job-hunting process – the trick is to turn it into something positive and not to let it prevent you from moving forward. As Fenton points out, “there are no shortcuts to success.” The bar may be high for a career in the games industry, but as each of our contributors will attest, it is not unreachable if you are willing to put in the necessary time and effort. So what are you waiting for? Take note of everything you’ve learned in this feature and get ready to enter career mode. This article originally appeared in issue 236 of 3D World, the world's leading magazine for 3D artists. Buy issue 236 or subscribe here.